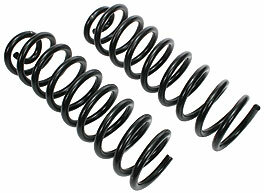 Whether you are just replacing your old sagging coils or looking for a lowered stance, CPP has the right coils for you. We offer both stock height and 1-1/2" lowered coils, which come with a gloss black enamel finish. RCS661-S 1958-64 stock height, pair.